Alpha-carotene is what is called a provitamin A carotene, which is what gives orange and yellow fruits and vegetables their brilliant color. 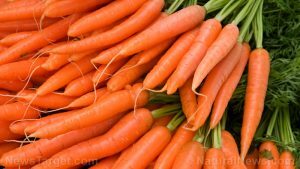 It is part of the carotenoid family which – aside from beta-carotene, cryptoxanthin, lutein, lycopene, and zeaxanthin – is an essential carotenoid to include for a healthy diet. Foods that are rich in alpha-carotene include cereal grains and pasta; baked products; lamb, veal, and game products; sausages and luncheon meats; dairy and egg products; fats and oils; snacks; beverages; baby foods; fast food products; beef products; breakfast cereals; fruits and fruit juices; nut and seed products; poultry products; soups, sauces, and gravies; spices and herbs; sweets; vegetables and vegetable products. Because of alpha-carotene’s antioxidant properties, ingesting it can help you lessen the risk of getting sick from cancer, as alpha-carotene neutralizes harmful free radicals that would have damaged otherwise healthy cells by inducing the growth of carcinogenic ones. Alpha-carotene is good for the cardiovascular system. It causes the proliferation of lipophilic antioxidants in the blood plasma, which prevent the development of atherosclerosis. Alpha-carotene is good for the excretory system. It addresses liver and gallbladder conditions. Alpha-carotene is good for the ocular system. It prevents the onset of age-related eye conditions such as macular degeneration and cataracts. Alpha-carotene is good for the cardiovascular, excretory, and ocular systems. Alpha-carotene’s antioxidant properties lessen the risk of cancer development. Apla-carotene is what gives orange- and yellow-colored fruits and vegetables their hue.